This luscious recipe for buttermilk pie is provided to you courtesy of a wonderful collection of recipes developed on the range and cooked for cowboys, The Texas Cowboy Kitchen . The crust has a bit of cinnamon for extra flavor. The filling is rich with creamy buttermilk, with added flavor from lemon and vanilla. For the crust, mix the flour, salt, cinnamon and sugar in a medium size bowl. Cut in the shortening using a pastry blender or 2 knives, until all the flour is blended in and the mixture consists of pea-size bits. Sprinkle the mixture with water, 1 tablespoon at a time. Toss lightly with a fork until the dough forms a ball. Work the dough, pressing between your hands to form a 5-6 inch pancake. If the dough seems too sticky, wrap in plastic and refrigerate for 20-30 minutes. Dust the dough lightly with 1-2 extra tablespoons of flour. Roll the dough in a circle between 2 sheets of waxed paper on a slightly dampened countertop. Peel off the top sheet of waxed paper, then trim the dough so that it has 1 inch lapping over the edges of a 9 inch pie plate. Turn the dough over onto the pie plate, pull the waxed paper away. And press the pastry to fit the pan. Fold the edge of the pastry under and flute the edges or press with fork tines. For the pie, preheat the oven to 350°F. In a bowl, combine the sugar and cornmeal. Add the eggs and buttermilk, mixing well. Add the butter, vanilla, lemon rind and lemon juice. Mix until blended. Pour into the pie shell and bake for 45 minutes. 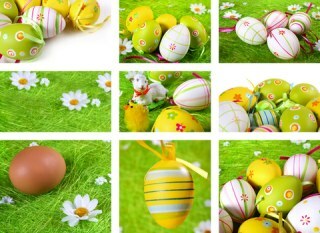 Or just until beginning to brown on top. Buttermilk pie is a southern tradition, but Grady Spears, the author, has added a few twists, which is what has made him a legend in Texas. If you really like this recipe, have a look at Grady’s cookbook The Texas Cowboy Kitchen . 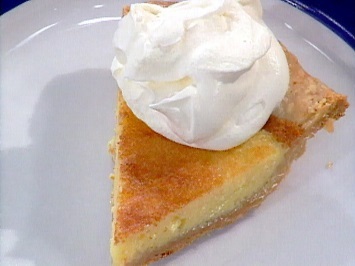 If you like this buttermilk pie, you will find another of Grady’s fabulous recipes, this one for cheese biscuits, here.